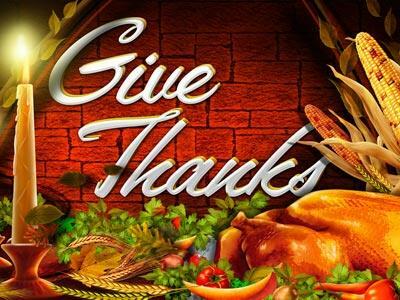 Summary: The main source of every blessings is our God, offer Him our thankful heart. This coming Thursday is a paid holiday. This is good news to people who will benefit from it. But, really this is good news to all people who are residing in this nation. 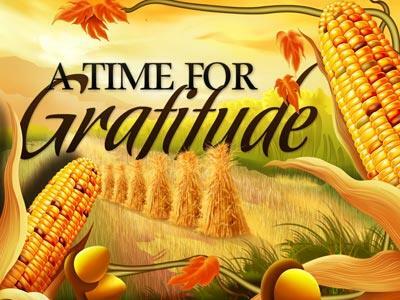 This day is an opportunity of everybody to pause for a while and give time to family reunions and get together to enjoy a sumptuous dinner with turkey on the table, a mashed potato, corn caserole, bread once again pause for a while and have sumptuous dinner as a gesture of Thanksgiving to the blessings of God in this great nation. We are the living witnesses for the abundance of God in this blessed land. More so, your forefathers knew exactly the value of recognizing God in the midst of other people and be thankful for what He has done and for what he will still be doing. "Now, Therefore I do recommend & assign Thursday, the 26th day of November next, to be devoted by the People of these States to the service of that great & glorious Being who is the beneficent Author of all the good that was, that is, or that will be. . ." So read the very first Thanksgiving Proclamation. Inasmuch as the great father has given us this year an abundant harvest of Indian corn, wheat, peas, squashes and garden vegetables, and has made the forests to abound with game and the sea with fish and clams, and inasmuch as he has protected us from the raids of the savages, has spared us from pestilence and disease, has granted us freedom to worship God according to the dictates of our own conscience; now I, your magistrate, do proclaim that all ye Pilgrims, with your wives and ye little ones, do gather at ye meeting house, on ye hill, between the hours of 9 and 12 in the day time, on Thursday November ye 29th of the year of our Lord one thousand six hundred and twenty three, and the third year since ye Pilgrims landed on ye Plymouth rock, there to listen to ye pastor and render thanksgiving to ye Almighty God for all His blessings. This nation is unique compare to others because she has a thankful spirit. Which for us Christians is very vital in our testimony to the greatness and goodness of God. Obviously, our life must be supported by a thankful heart because we believe that whatever we have is a gift and grace from God. Why, thank you Lord Jesus? Because this nation and its existence is under the power of God. The foundation of your strength rests on what your forefathers beliefs about God. We could not deny the fact that without God and our Lord Jesus Christ we can’t do anything. We need to comply and consult Him in every details of our life. This nation reaches the peak of success because of her conviction to the power of God. But, I was wondering if this nation could still boast to other nations that they are the same people who prioritize Jesus Christ in every areas of their life. If we think so, let’s start in our backyard and in the family circle that we need to give time to the Lord our God and His name is Jesus Christ! America is the land of opportunity, we cannot find country else where people from all walks of life are welcome. The immigration policy really serves as an avenue why people from around the globe can come and if possible live here without any problems from threat and the like. 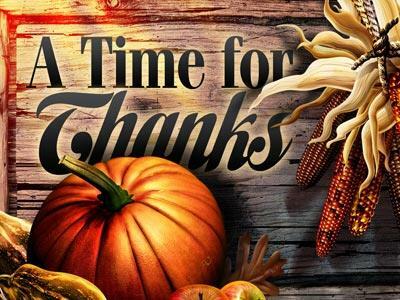 The main source of every blessings is our God, offer Him our thankful heart.